Blood clot. Coloured Scanning Electron Micrograph (SEM) of a human blood clot. 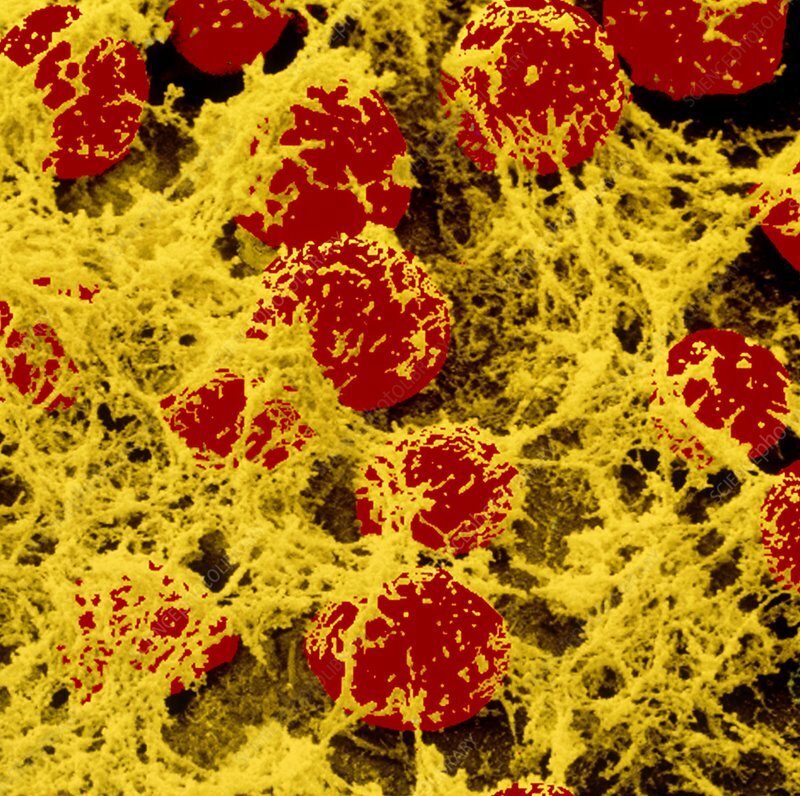 Red blood cells (erythrocytes) are seen trapped by a web of yellow fibrin threads. The fibrin is an insoluble protein and these threads are an essential mechanism for the arrest of bleeding. As the blood cells become trapped they will begin to lose their normal rounded shape. Blood clots form to repair blood vessels damaged by injury or disease. Abnormal clotting in blood vessels, as occurs in a thrombus in intact arteries and veins, is the principal cause of heart attack and stroke. Magnification: x3,100 at 6x6cm size. Magnification: x2535 at 6x6cm size.